Dr. Wendland received her B.S. in Business Administration with a concentration in Human Resources from The Ohio State University, her M.Div. from Trinity Lutheran Seminary, and her Ph.D. in Biblical Studies from Luther Seminary. Dr. Wendland’s Ph.D. work focused on the book of Ezekiel, challenging the traditional conception of the relationship between God and the people of Israel in the book. 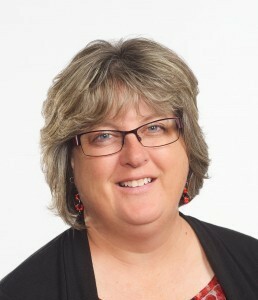 Prior to joining the faculty at Newberry College in 2007, Dr. Wendland taught at Waldorf College in Forest City, IA. From 1997-2001, Dr. Wendland served as Associate Pastor at Good Shepherd Lutheran Church in Columbia, South Carolina. Dr. Wendland is currently registered with the South Carolina Synod of the ELCA as a supply preacher, has taught adult forums and Sunday School classes on various topics, and is active in her church. Dr. Wendland has published confirmation curriculum for the Evangelical Lutheran Church in America, presented a paper at the Association of Lutheran College Faculties, and presented on topics such as Religion and Technology, Immigration, and Harry Potter at Faculty Lecture Series and Fine Arts and Lectures Series at Newberry College. Since becoming a part of the Newberry College community, Dr. Wendland has been active with the Quality Enhancement Plan, the Academic Assessment Committee, and the Campus Alliance for Respect and Diversity.